“Breastfeeding is best for babies up to two years”. This ad would be very familiar to you if you are a breastfeeding mom. You will also notice this advertisement on baby formulas on television. The reason why breastfeeding is best for babies is because it will ensure the best health and best developmental outcomes for them. Breastfeeding is nutritionally demanding for both moms and babies. They both require more calorie and nutrients than the usual; and for moms, you need more than the usual calorie you take in the last trimester of your pregnancy. The calorie and nutrient intake need to be increased when breastfeeding to meet the nutrient requirement you need and what the baby needs. This means eating the right food for moms. With this in mind, here is a list of food that you can eat to set the stage for a lifelong and healthy eating pattern for you and your baby. 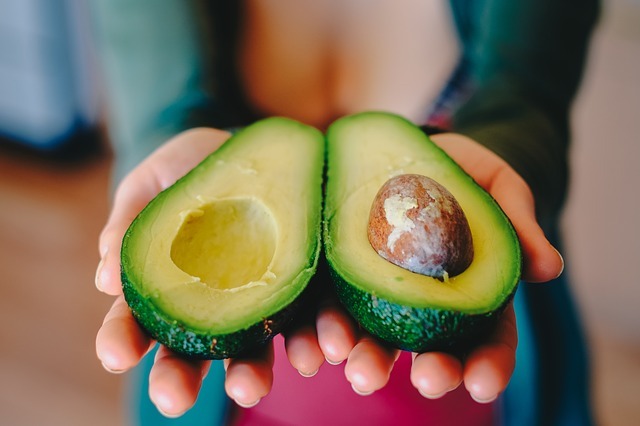 Eating avocado is good for you and your baby. It is rich in fiber, potassium, and mono-unsaturated fat, which is needed to absorb certain vitamins like Vitamin A, Vitamin D, Vitamin E, and Vitamin K. These vitamins are essential for the growth of your baby and for their brain development. Pumpkin Seeds. Pumpkin seeds, also known as Pepitas, are a good source of fiber, protein, and most especially, iron. Iron is needed for proper development of nerve cells in babies. It is also essential in developing the brain and their specialization. In addition, iron is good for both mom and babies as they regulate the production of blood in the body. An ounce of pumpkin said on a daily basis would be enough to regulate the needed amount of iron for moms and babies. Sweet Potatoes. This food is a good source of Vitamin A, potassium, and carotenoids. Vitamin A is essential for bone growth, immunity, cell specialization, and vision development. During pregnancy, even when you are taking more than enough Vitamin A for you and your growing child, your baby can only absorb and store so much of this Vitamin. This is why you still have to continue taking more than enough Vitamin A to sustain the growth and development of your child. One medium sweet potato can help you achieve this. Yogurt. Yogurt is good for dessert and for snacks. It is best for breastfeeding moms as it is reach of protein, calcium, and probiotics. Calcium is essential for strengthening your baby’s teeth and bones. It is also needed for different bodily functions like muscle contraction and nerve functions. For mothers, high intake of calcium is important as you lose 300 to 400 milligrams of calcium on a daily basis because of breastfeeding. Thus, it is very essential that you eat different varieties of food that are rich in calcium. A small yogurt (eight ounces) has over 400 milligrams of calcium. This is why, it is recommended that you make it a habit of having a yogurt snack in a day. You can pair calcium-rich food with food rich with Vitamin D. This will increase absorption of necessary vitamins and minerals while breastfeeding. Some food rich with Vitamin D are tun, salmon, sardines, and fortified orange juice. When eating yogurt, you may avoid eating it together with spinach, collards, beans and sweet potatoes as they compete with calcium in body absorption. Garbanzo Beans. This is commonly known as chickpeas. This food is a good source of Vitamin B-6, fiber, and protein. Vitamin B-6 is essential for your baby’s cognitive development, hemoglobin production, and in your baby’s immunity. Half a cup of chickpeas a day will provide you more than half of the recommended amount of this nutrient needed in breastfeeding. Many mothers already have a hard time breastfeeding their babies. But what if you’re also working? We are now seeing a growing number of women forgoing the norm of being plain housewives and actually joining the workforce. And when these women have babies, they are faced with the dilemma of continuing work or giving it up and just staying at home to take care of their child. If you’re one of them, here are some tips to help you make working and breastfeeding work. Many employers have made their offices child-friendly; some allow mothers to bring their baby to work, while others offer an on-site daycare for their employees’ children. Explore your options and make the best out of them. Make your breast pump your best friend. Learn how to effectively use one so you can efficiently pump enough milk for your baby before you leave for work. Your baby can have enough supply until you can get home. If you can, squeeze pumping during your work times. There are hands-free pumps available today so you can extract milk while working in front of your computer or filing paperwork. Your office mates won’t even notice. Be flexible and prepared to constantly change up your schedule from time to time. Babies can be quite unpredictable; the routine that works for them today might completely change the next. Re-evaluate your lifestyle and, if you can, explore other work possibilities. If you cannot bring your baby to work, you can spend quality time with your baby at night after work. Use this time to breastfeed and bond with them. Also make the most of those days when you don’t have work. Mothers who cannot pump enough milk can opt to mix feed their babies. This means feeding them formula as a backup for when they cannot extract enough milk. Ask your doctor for the best way to go about mixed feeding. Finally, make sure that you also take care of yourself. All the initial stress of adjusting might leave you too tired to set aside time for your well-being. Eat properly, get some exercise and allow yourself to enjoy small luxuries and pampering once in a while. Breastfeeding and working truly are hard to do simultaneously. Unfortunately, many mothers have to do it. But with the tips above, these tasks should be a lot easier and manageable. If you have any more questions about breastfeeding, talk to your doctor now. He should be able to give you more tips to ensure that you efficiently do your work while giving your baby optimal nutrition and care. Copyright © Mom Active 2019. All Rights Reserved.